When we think of the Gulf, we picture towering skyscrapers, dazzling wealth, and the unique mix of cultures, languages and fashions. We rarely think about the unseen people who built the chrome jungles, or those responsible for keeping them clean, pristine and tourist-ready. This came as a stark reminder of the limitations facing journalists in the tiny Gulf state. 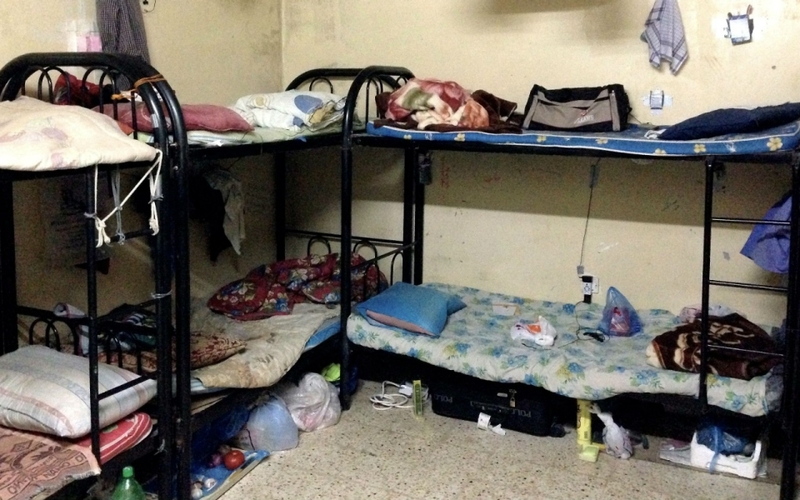 It also suggests that while the Qatari government may have bowed to international pressure and marginally improved the living conditions of migrant workers, they still have something to hide when it comes to the rights of these people. 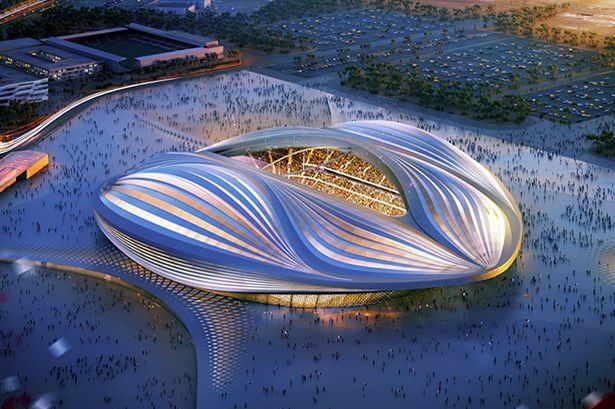 The country has repeatedly made the headlines over the last year because of the vast numbers of – particularly Nepalese, Indian and Bangladeshi – workers killed in the construction of the stadiums for the 2022 World Cup. The International Trade Union Confederation has estimated that 1200 workers have been killed so far, suggesting that, at this rate, the death toll will exceed 5000 by 2022. The problem of workers’ rights is not unique to Qatar alone, but pervades in almost all the Gulf monarchies. 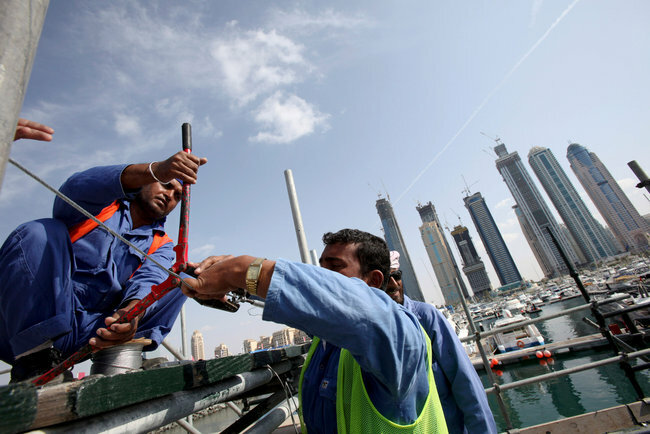 It is common in the Gulf to see construction workers toiling on building sites in the heat of the day, even throughout the harsh Gulf summers when temperatures exceed 50°. There have also been numerous reports of migrant workers in the Gulf being forced to live in dire conditions, while many – particularly domestic workers – suffer mistreatment and abuse at the hands of their employers. Every year, thousands of workers, mainly from Southern Asia and Africa, flood to the Gulf in search of better job prospects, higher salaries and a better life. Most plan on sending money home to their families, not anticipating the lack of freedom that awaits them due to the strict kafala (sponsorship) system in place in the Gulf monarchies. Under this system, employers hold the ultimate responsibility for the visas and legal status of their foreign employees, effectively binding workers to their sponsors and making them vulnerable to exploitation. The punishing effects of this system have become apparent recently, as Nepali migrants in the Gulf have found themselves unable to return home in the wake of the earthquake that devastated their country in May. Due to the restrictions of the kafala system, many Nepalese migrants have been unable to return to Nepal to support their loved ones or attend the funerals of their relatives. Some workers – the majority of whom initially travelled to the Gulf to send financial support back home – have lost their entire families, or even communities as a result of the quake. Their contracts will undoubtedly continue, as will the uncertainty of what awaits them on their return home. According to some, the kafala system represents another horrifying manifestation of modern day slavery and has been tainted with stories of human trafficking. But finding a solution to this problem will not be easy, due to the complex web of intertwining interests of the people at the top of the system. In fact, the very nature of politics and society in the Gulf gives rise to, and practically necessitates, the exploitation of low-paid workers from developing countries: The ruling families of the Gulf monarchies rely on revenues – or ‘rents’ – from natural resources such as oil and gas, in order to offer benefits to their citizens. This has enabled the emergence of what has been referred to as a ‘ruling bargain’, by which their populations are less likely to demand political reform or representation from their rulers in exchange for these benefits. One of the implications of this is that most Gulf citizens are employed by inflated public sectors, earning high salaries for little or no work. This means that lower-paid workers are imported from developing countries to fill less desirable jobs such as construction and domestic work. Both rulers and the local populations benefit from this system, making them unlikely to push for change or higher standards for migrants. Governments benefit from the cheap labour migrants provide, while citizens would be unwilling to undertake these jobs themselves or to pay their migrant employees more. It is also difficult for the migrants’ home countries to push for a change in the law that would benefit their citizens working overseas. If one country introduced certain standards of living and working conditions that must be adhered to in order for them to send their workers to the Gulf, another country’s migrants would simply fill the gap. Is there a solution? Not an immediate or easy one. There is little incentive for any individual government or social group to push for change. In order for change to happen, there must be intense international pressure. We have seen that this has proven effective for Qatar, which has gone to some lengths to improve conditions for workers. But the risk is that when the 2022 World Cup is over, this issue will die in the hearts and minds of the public. Take Rio 2014, for example. In the media coverage of the tournament we heard plenty of the inequalities that placed lavish, expensive stadiums on the doorsteps of sprawling favelas. But what have we heard of this since? To begin to solve this problem, the countries sending workers abroad must co-operate to establish standards agreed to by all, so that their populations may still reap the financial benefits of working abroad, but in a safe and free environment. Falling oil prices and increasing internal pressure for democratisation are already forcing the governments of the Gulf to make compromises. They must accept that in order to end criticism from human rights groups and avoid risking their positions in the international community, they must also be prepared to compromise some of the cheap labour they enjoy. The international community – particularly countries like the US and Britain that maintain close relationships with the Gulf monarchies – must put significant pressure on these governments to improve the situation. Unfortunately, this is unlikely to happen without pressure from their own citizens, due to the importance of the monarchies to the outcome of the conflicts tearing through the region and the future of the Middle East. The migrant workers themselves are easy to ignore. Often hidden in shanty towns and slums outside the glittering cities, the governments of the Gulf would rather we not know their stories. The 2022 World Cup should be seen as an opportunity to make a positive change, particularly in the wake of the latest FIFA scandal, which has made the tarnished organisation more vulnerable than ever to external pressure. The efforts of one government, one country, or one organisation alone will not change the situation. We must all share their stories and end our ignorance. Only then will the people in power be forced into action.